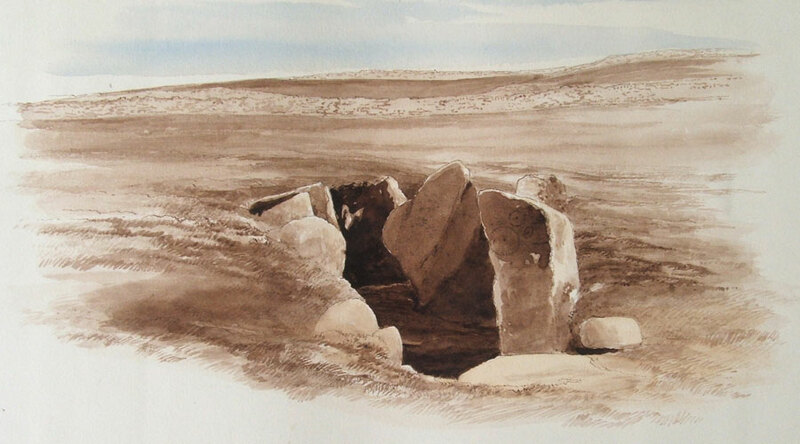 Wakeman's 1879 watercolour of Cloverhill. 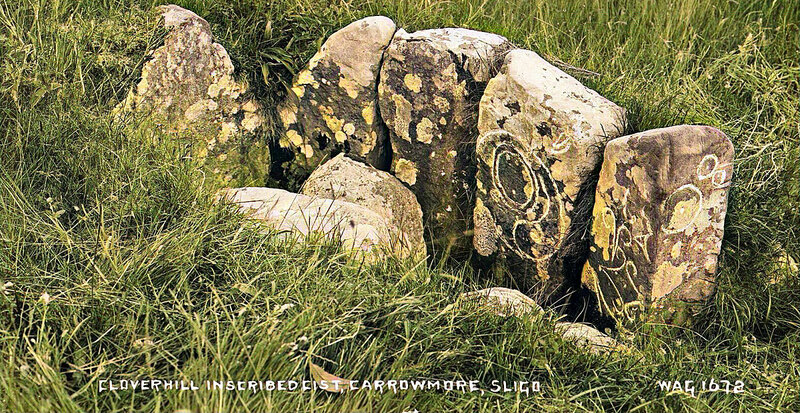 Cloverhill is a small and unusual monument about 1 km east of Carrowmore. The monument consists of a small megalithic chamber set into the ground, which mesures 1.6 m by 1 m and is oriented slightly west of south. 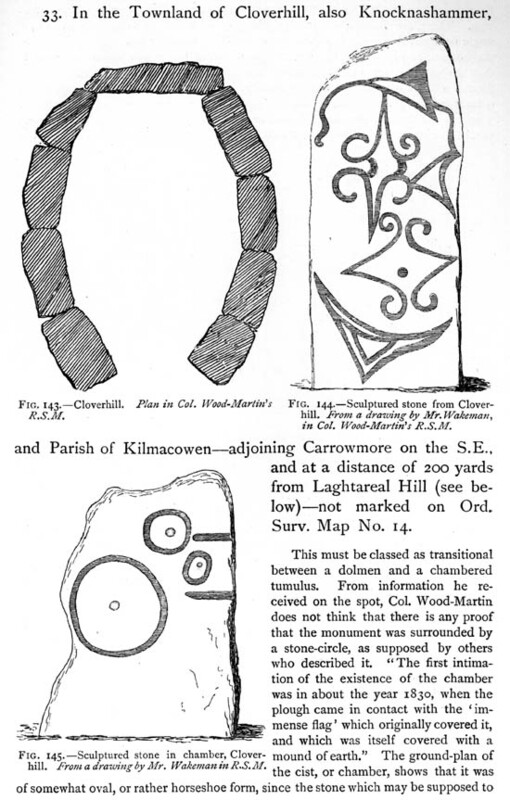 A page on Cloverhill from Borlase's Dolmens of Ireland, 1895. The chamber was discovered in 1830 when a plough hit the roofslab. 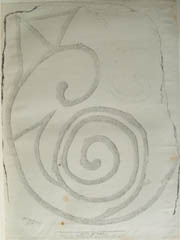 For many years Cloverhill was considered an anomoly among the other Sligo monuments. 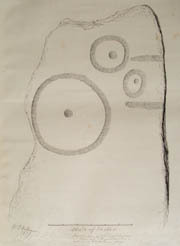 Three of the orthostats in the chamber have megalithic art engraved on them, but the technique used is closer to 'Celtic' art than 'passage grave' art. 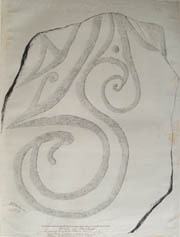 Art from Cloverhill in Borlase's Dolmens of Ireland, 1895. Cloverhill is not too easy to find. The day I visited, the farmer gave me permission to cross his land, but warned me to stay away from a skittish young colt. I spent the next 90 minutes searching for the monument, all the while keeping an eye on the young horse who was standing on the side of the hill. 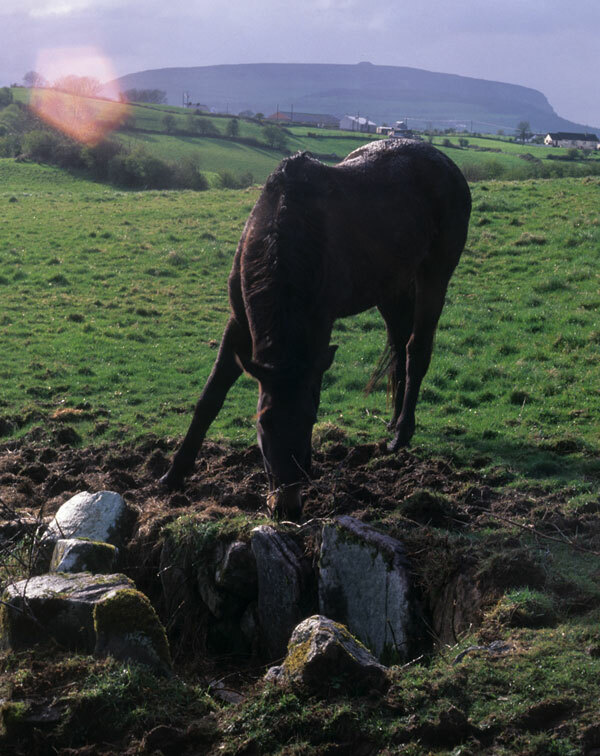 A horse at Cloverhill. Queen Maeve's cairn can be seen on the summit of Knocknarea in the distance. Eventually I realised that he was standing by the chamber - as you can see in the picture - probably trying to tell me where the monument was all the time! 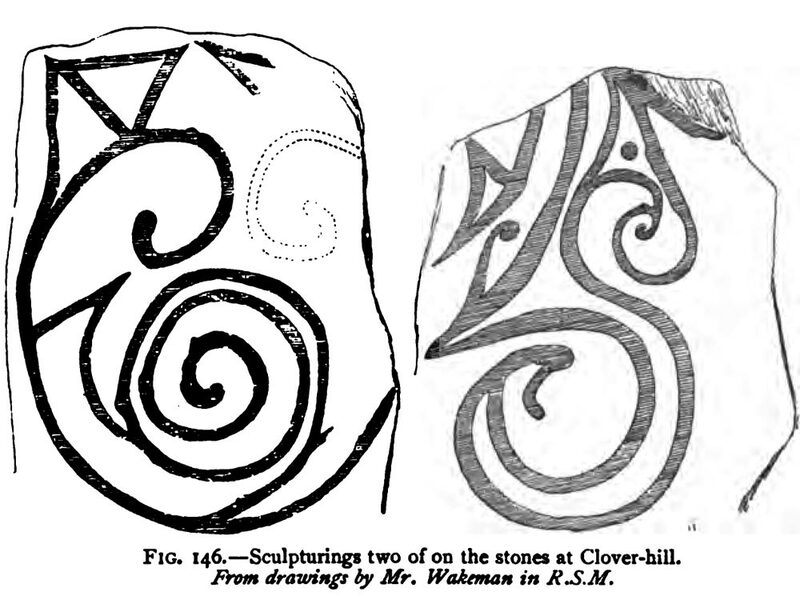 Illustrations of three engraved slabs at Cloverhill. Cloverhill chamber, wild and overgrown, today.